All Schools: Your Votes = $$ for Our School! All Schools Reminder: Back to School Night This Week! IMS Blog Now Automatically Posts to Facebook! 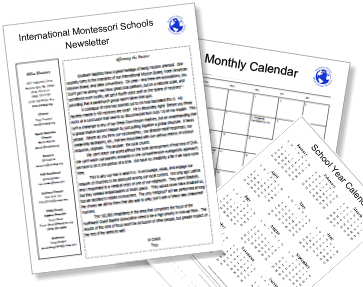 Monthly Calendars Are Now Online! Red Preschool: Fund Raiser-Coffee & Donut Wednesdays! Come to the Red Preschool each Wednesday morning for a coffee and donut, only $3! Proceeds go to the purchase of a new composter.